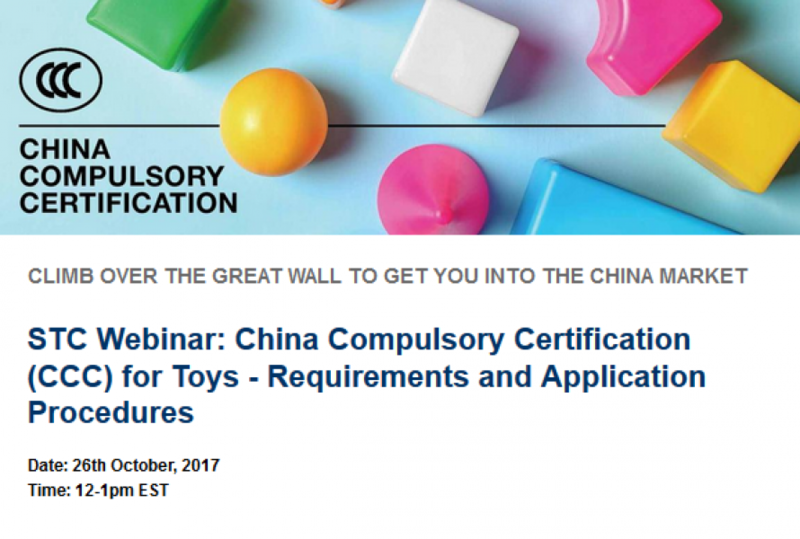 STC Webinar: China Compulsory Certification (CCC) for Toys – Requirements and Application Procedures Date: 26th October, 2017 Time: 12-1pm, EDT Registration: Please click here Event Details The webinar will open your door to the China market by introducing the requirements and application procedures for China Compulsory Certification (CCC). Audience: Anyone in the toy industry wishing to step into the China market. Description: To import, trade and sell toy products in China, it is mandatory for all manufacturers, traders and retailers to ensure their products are certified in accordance with CCC requirements. Highlights of this webinar • Legal requirements of CCC • How to prepare for the application process • What you need to do to comply and how to avoid unnecessary delays and failures As the FIRST non-governmental lab in China approved for CCC toys testing, STC is the professional in the field, able to guide you into the China market. Speaker: Norman Aronowitz Director of North America STC With over 30 years’ experience in the Toy, Sporting Goods and Juvenile products industries Mr. Aronowitz is spearheading the expansion of STC services in North America for testing, Inspections and customer service for all consumer product certifications for North American companies and their manufacturing facilities worldwide. Keith Yung Director of Toys, Electrical and Children’s Products Group STC Overseeing the operations and technical development of STC toys, electrical and children’s products testing division in Hong Kong, China, Asia, EU and the USA, Keith has over 20 year experience in the testing industry. Since 2005, Keith has been a member of the China National Technical Committee of Standardization for Toys and involved in the research, establishment, revision and supervision of China National Standards. STC is one of the world’s leading conformity assessment organizations recognized for providing one-stop global toy safety testing and certification service, including CCC, CPSIA, CE, ST and others. 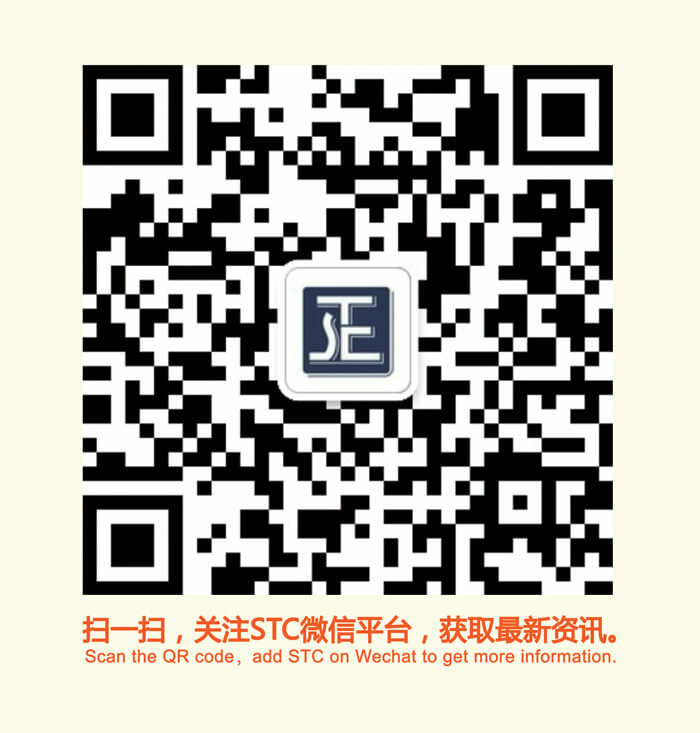 About STC STC is the first independent, not-for-profit testing, inspection and certification organization in Hong Kong. Since its establishment in 1963, STC has been dedicated to providing professional, reliable and comprehensive testing and inspection services, and issuing the highest quality reports to ensure compliance with relevant technical and safety requirements while keeping pace with the development of trade and industry.